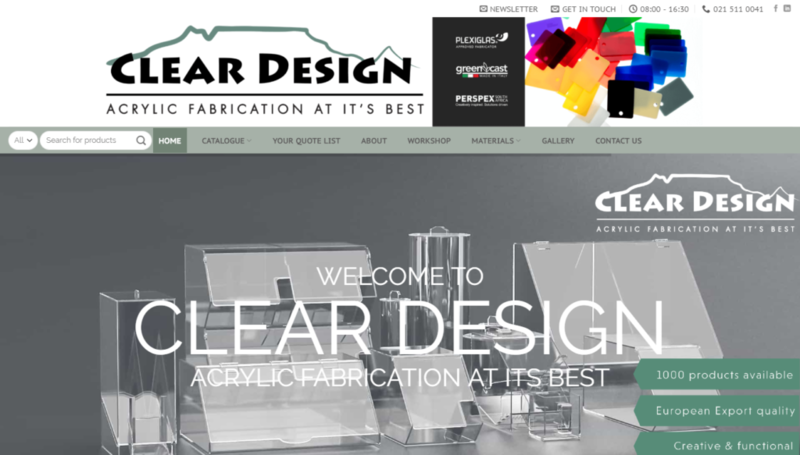 Clear Design is the leading fabricator of Acrylic Products in Southern Africa. 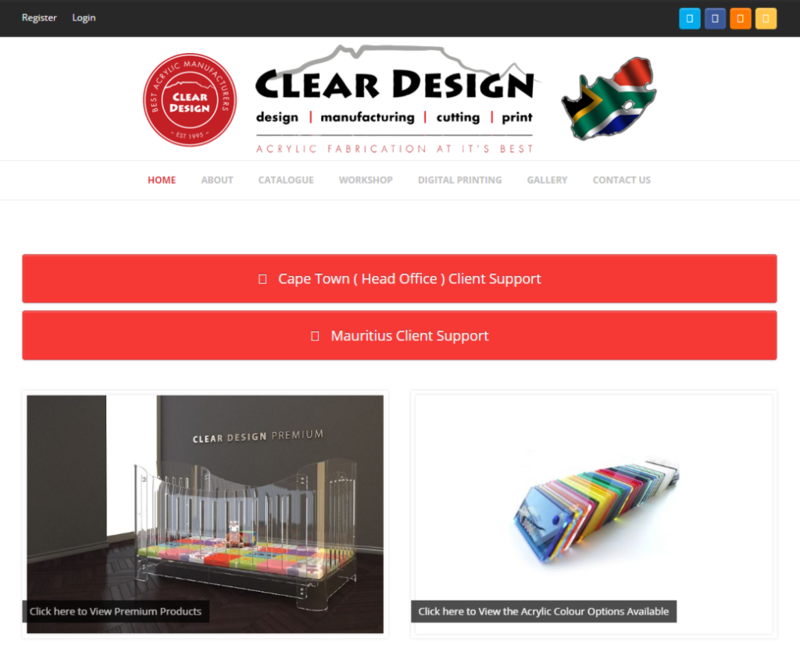 They manufacture over 1000 Acrylic Products catering to businesses looking for custom acrylic products, branding opportunities and an eco-friendly solution. 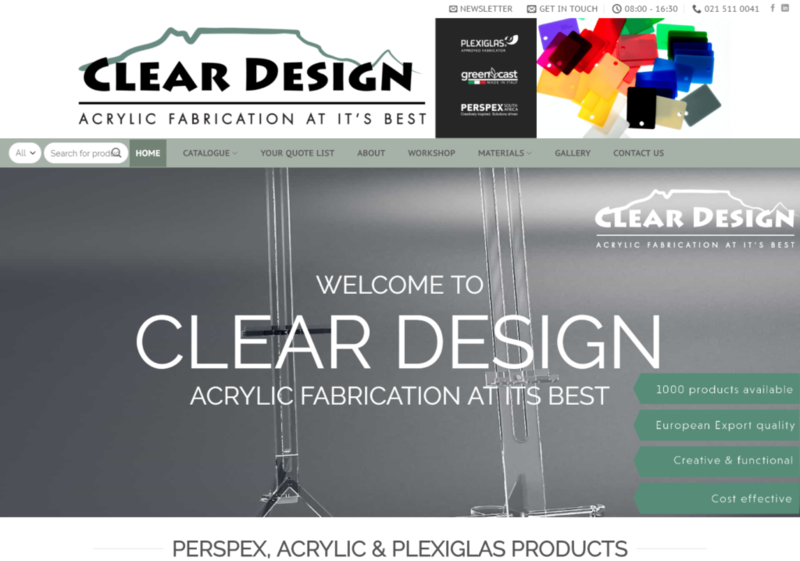 Clear Design has been a long-standing client of mine. I had started implementing SEO on their website a couple of years ago, with time and dedication we achieved first placed position for their industry’s key terms. As we know in the digital marketing world, ranking highly gets you targeted traffic to your site, which is great! At some point in your website’s life cycle, you will need to refresh your look & feel to cater for the evolving internet user. Internet users have become very picky & impatient. I was given a brief to create an easy consumer journey through the site, for them to find what they want within 3 clicks and to lodge an enquiry in 1 more click. 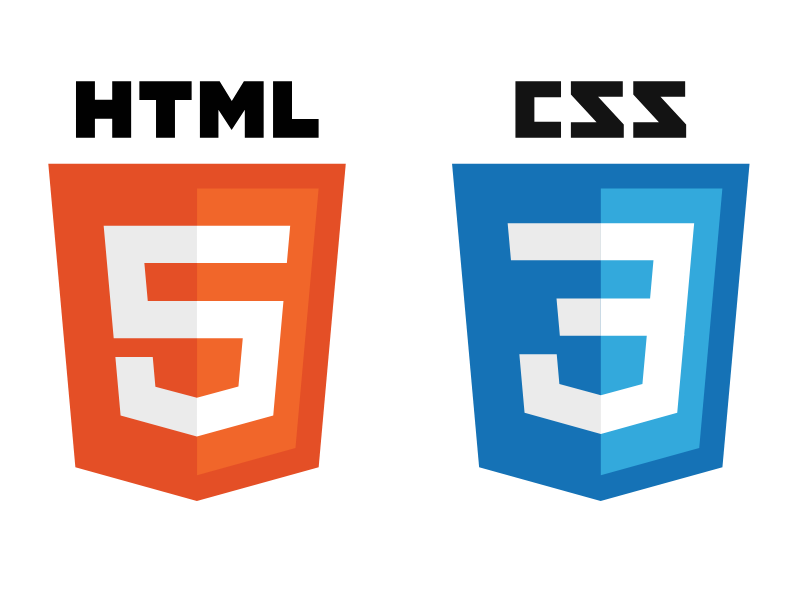 Not to forget, integrating a modern aesthetic to the site and from a site maintenance point of view, to have an easy to manage CMS with solid security features. Extra requirements: User-friendly, easy to manage backend and secure from competitor intellectual propery theft and hackers. This entry was posted in Development Showcase. Bookmark the permalink.